Translation:We do not eat mushrooms. Pieczarka is one of types of „grzyb” (mushrooms). 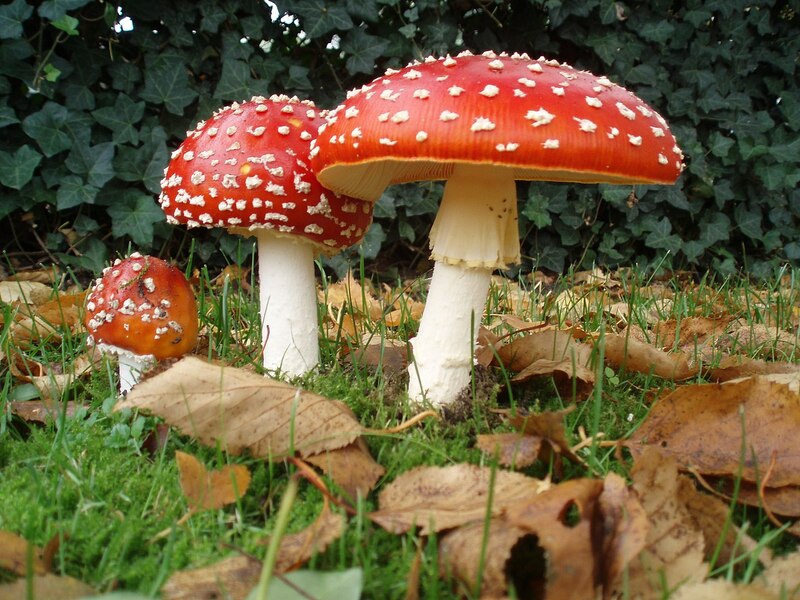 If you were to think about a mushroom it would probably be „pieczarka”. Those are some fantastic mushrooms pictures. Thanks for the insight. Does "muchomor" means "fly killer"? Ah yes, now I get it - it's more like "fly attractor"
No, your original guess was right. Mucho + mór -- "fly" + (old-fashioned word for) "kill". The thing is, that most of English-speaking people seem not to have much knowledge about mushrooms. But in Poland, they are a lot more often used in our dishes. And 'pieczarka' is the most widely known, even in countries that are not very fond of mushrooms. I would even think of it as something separate, although it technically is a mushroom as well, of course. and "we eat no mushrooms"
I speak Polish fluently, [Im Polish] and this goes as: We do not eat mushrooms, or We arent eating mushrooms.